Speak with our result specialist today to see how a perfect web strategy can give you a 300% ROI. One roof, Smart Coders, Results, ROI, Satisfaction – All Good, Contact today. In Today’s arena web development company is a big term for the work involved in the development of a website. It involves development of single page application to the most complex web based apps.Our web development services includes web design, web content development, client association, client-side or server-side scripting, web server, network security configuration, e-commerce development etc. Nowadays a nice look and feel of the websites is not much enough to occupy the space on the web for the success of the business until it is not productive. Our web development company help businesses to stay alive 24*7 with websites that helps clients to communicate effectively with potential customers, generate leads for their business and market themselves to the fullest. Implementation of navigation functionality is necessary on the website to enforce the end users to explore more. More Prospective Clients Across The World. Our web developers are responsible for developing both server-side logic and front-end logic. 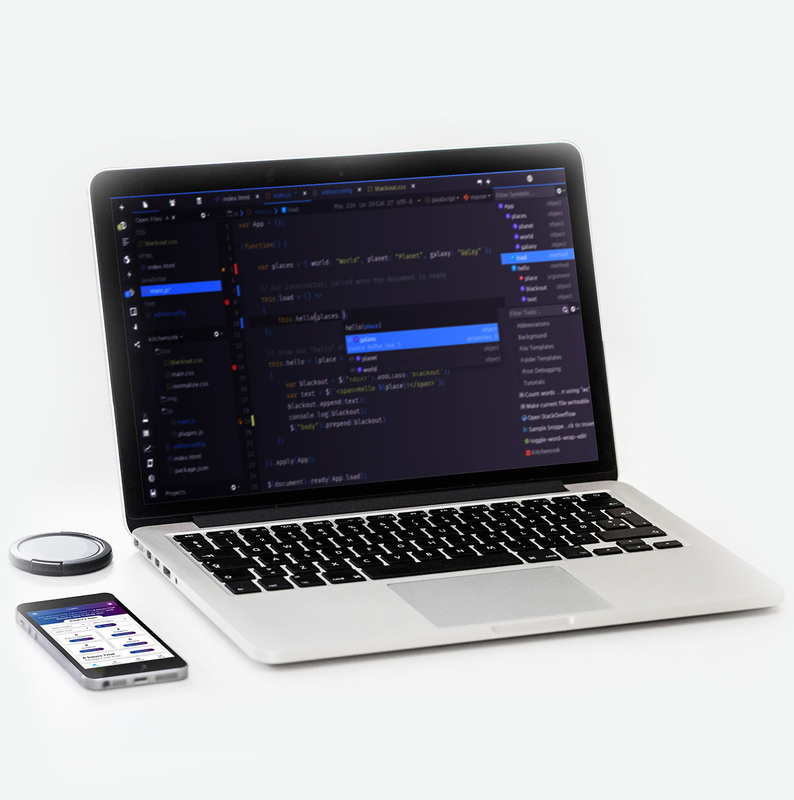 They take care of the implementation of the visual elements that the users see and interact with a web application, web portal development as well as the web services and APIs powering the front end. We ensure that the application or website works and functions as per your desire and need. Our web development company help the client to take their business to the next level in a secure manner within the budget with our IT solution. SSTech System is one of the premier website development company, Mobile App development company. We provide complete IT Solution under one roof, for the success of small, medium size and large enterprise. We majorly focus on Custom Web Development, Open Source Web development, Mobile Application Development, Software Development and Digital Marketing and many more services. 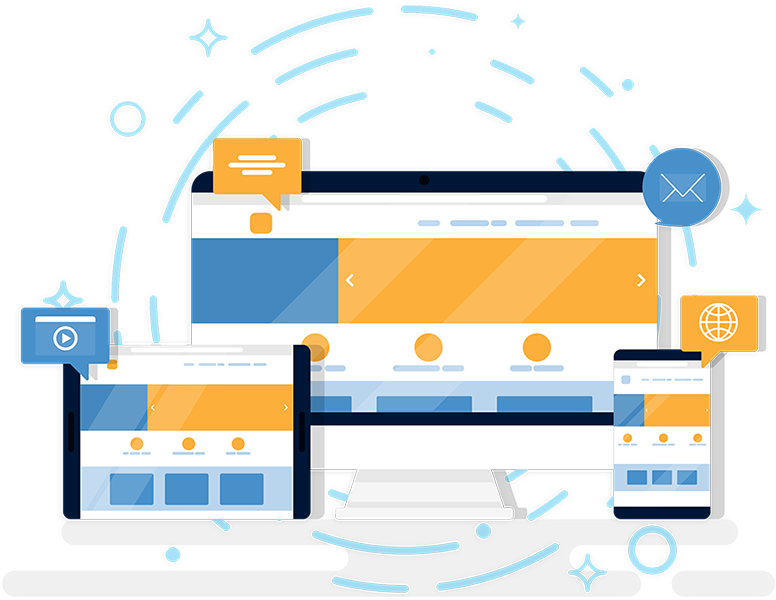 Our web development company help you to develop customized, cost-effective web solution for your business tailored to honing in on your prospective clients. Mobile application is divided into two parts, application logic part and application data management. Server side part is referred as back-end part. We design and implement RESTful APIs which is used to enable the request between application, data and devices for your existing software. API establishes the communication between the application and their back-end system. Building private API that are only accessible to internal systems and integrating with third party API. Our team of developers use logic to develop as per your requirement. They use custom software development kits and application programming interfaces. We offer integration with social media network, push notification, location and cloud storage etc. We also implement user analytics in back-end that will show user’s behavior with your application that gives you an idea of which part of your application works efficiently and where it requires more work. It gives you an insight and ways to increase your business profit. 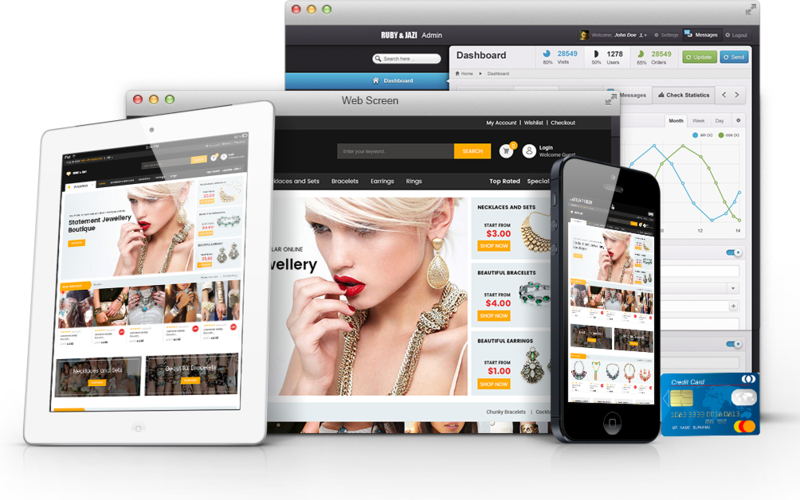 Our developers have integrated API in many of our eCommerce as well as other sites. They have develops API for cloud, mobile and web based services platform. SSTech System provides, custom web development company, web portal development services from start-ups to medium size or a large corporate house. 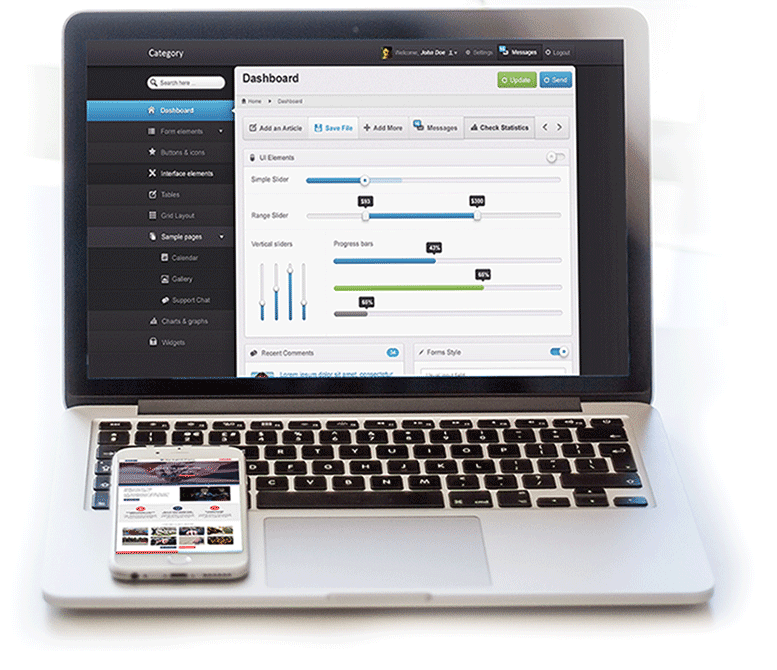 Our content management support, manage and publish data in any kind of medium. We work comfortably on content management system that makes content authoring, delivery easy. Even non-technical user can efficiently build a website, streamline the web publishing procedure, quickly deploy, and create a rich content. We improve digital life-cycle management by providing end to end visibility into content management application and delivery systems. Our content management services empowers firms to reduce content production costs, through tools integration, collaboration, and work flow processes. We have extensive experience in developing dynamic and scalable web content management system in WordPress, Magento, Drupal, Joomla etc. We Adopt Client Centric Approach To Deliver Winning Edge Enterprise Solution. Open source web development has many unique concepts such as it can be implemented quickly, its low costs, its functions can be modified and many other features. SSTech System is one of the best providers beneficial and scalable for any business industry and succeed to fulfill its demand. We are capable of delivering quality solutions for any business industry growth in open source web development company like WordPress, Magneto, Drupal, Joomla, Open cart, Node JS etc. We maintain open source coding standards. Our highly talented team are experts in widget, plug-in designs and customization of open source themes. They handle PHP and MySQL queries that helps in creating a great website continuously update skills and knowledge to beat the competitive industry. They integrate the resource code and can customize it. They use latest technologies and advanced methodologies in our development process to deliver the best results. We develop all types of websites including shopping cart website, social media websites, corporate websites, education websites, government sites and others. If you have any website design requirement, We offer affordable quote for open source development.